Many of us spend far too much time in front of our screens, whether for work or entertainment. 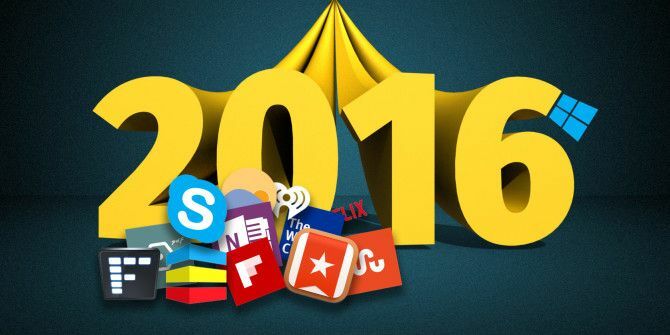 To help you start 2016 off on the right note, we’ve put together this list of the 12 must-have apps for Windows. Our list includes apps to make your work life easier, as well as ones to help you wind down after a hard day. We’ve also added a few apps to help you stay on top of the day’s news and weather. Welcome to 2016. Working on your computer late at night shouldn’t ruin your eyes Sleep Better & Improve Your Health By Changing How You Use Your Computer Sleep Better & Improve Your Health By Changing How You Use Your Computer Computer work must not be hard on your body. Simple changes that only cost you minutes each day can have a great impact. Here are some tools to help you out. Read More . Long popular on Macs, f.lux makes the color of your computer’s display adapt to the time of day for a more comfortable and engaging experience. Best of all, tell f.lux what kind of lighting you have, and where you live, and then forget about it. The app will do the rest. If you’re a Windows user, you’re probably already using Microsoft OneNote 10 Unique Ways to Use Microsoft OneNote 10 Unique Ways to Use Microsoft OneNote OneNote is one of Microsoft's most underrated apps. It's available on almost every platform and can do many tricks you wouldn't expect from a note keeping app. Read More , a collaboration tool that seems to get better with each new product release. With Microsoft OneNote, you can keep track of information through notes (handwritten or typed), drawings, screen clippings, and audio commentaries. Best of all, the application works across multiple platforms, so your lists can sync and be available wherever you need them. One of Microsoft’s most popular applications, Skype for Windows, features instant messaging, voice calls, and one-on-one as well as group videos calls for up to 25 participants. Skype-to-Skype calls are free, while calls to mobile devices and landlines are available by buying Skype credits or signing up for a monthly subscription plan. Don’t like Skype? Choose from one of plenty alternative VoIP services Fed Up With Skype? The 7 Best Free Skype Alternatives Fed Up With Skype? The 7 Best Free Skype Alternatives Skype isn't the only name in video conferencing apps anymore. Here are some of the best Skype alternatives you can choose today. Read More , like Google Hangouts. Redesigned for Windows 10, this modern cloud-based task management application Chrome To-Do List Showdown: Wunderlist, Google Tasks, and Todoist Chrome To-Do List Showdown: Wunderlist, Google Tasks, and Todoist Chrome has several extensions and apps that work directly with some of the most popular task managers. But, how well do they work and how easy are they to use? Read More was acquired by Microsoft in 2015. Now offering Microsoft Cortana support, Wunderlist features impressive backgrounds and themes. We expect big things from Wunderlist in 2016, courtesy of Microsoft. This PDF viewer offers integrated annotation capabilities that let you read and create free-form markups, making it an excellent tool for those who are tired of printing out paper copies of documents. The start of a new year is a great time to get organized. With Stardock Fences, you can tame your cluttered desktop by separating app icons and files into shaded groups. 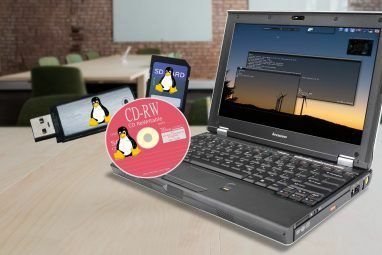 Other features include the ability to swipe between multiple pages of fences, creating a desktop portal from any folder, and double clicking to hide or show icons. One of the most important features is the ability to change the style and color of Fence backgrounds. This includes the capacity to tweak its transparency, color intensity, tint, and saturation. Sometimes, all it takes to remember things is a sticky note. However, instead of using a paper one, we suggest Sticky Notes Pro. Much better than the native Windows Sticky Notes tool, Sticky Notes Pro allows you to choose the color of each note, change its size and font, and much more. If being better organized tops your New Year’s resolutions, you can’t go wrong with Sticky Notes Pro. Searching for news doesn’t have to be a chore thanks to Flipboard. Offering curated news and information, according to your personal interests, Flipboard features a beautiful and intuitive design for easy navigation Supercharge Your Online Reading With The New Flipboard Supercharge Your Online Reading With The New Flipboard The third generation of Flipboard comes with a brand new design – and the claim to be called the world’s best personal magazine. Read More . With Flipboard, the latest news on the 2016 U.S. presidential election is just a few clicks away, as are the most recent scores from your favorite sports teams. More concerned with how your portfolio is doing? Flipboard has that covered, too. With StumbleUpon, you can “discover the best of the web, one click at a time.” Enjoy videos, photos, and web pages personalized for you. Don’t like a recommendation? Rate content giving it a thumbs up or thumbs down. The recommendations get better the more you rate a video, photos, or website. Don’t be caught off-guard on what’s happening on the outside. The Weather Channel application offers current conditions and forecasts, videos, weather maps, news, and special alerts. When the weather forecast calls for higher-than-normal temperatures and sunny skies, or lots of snow, The Weather Channel has you covered. Yes, you can still listen to free music streaming from the internet 6 Online Music Streaming Services With NO Restrictions 6 Online Music Streaming Services With NO Restrictions Finding a completely unlimited music listening experience can be a challenge. So, if you want complete control over your listening experience, check out these six completely free options... Read More . With iHeartRadio, you have access to hundreds of broadcast and custom radio stations. You can also create a station to call your own, based on your favorite artist or song. Currently, iHeartRadio is available to anyone in the United States, Australia, or New Zealand. The music streaming service is offered on dozens of platforms, including mobile, the web, and home entertainment. Did we mention that it’s free? An official Netflix Windows 10 application finally arrived at the end of 2015. 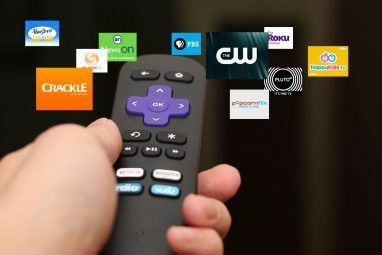 Taking full advantage Netflix vs. Hulu vs. Amazon Prime: Which Should You Choose? Netflix vs. Hulu vs. Amazon Prime: Which Should You Choose? It has been years since we've compared heavy-hitting streaming services, Netflix, Hulu, and Amazon Prime. And with changes in pricing, content, quality, and interface, we thought it was time to revisit the topic. 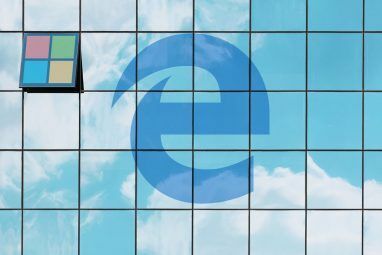 Read More of Microsoft’s universal apps platform, Netflix for Windows 10 offers full integration with Cortana, making it easy to find your favorite movies and TV shows. Netflix is available on multiple platforms and features some of the biggest movies and TV shows produced in the past 50 years. It’s also the home for original programs such as Daredevil, Orange is the New Black, and House of Cards. My favorite app for Windows continues to be Wunderlist, which I tend to use every day to help me keep my work on track. Netflix is also something that I access a few times a week, but strictly to relax after a crazy day in the trenches. You can’t go wrong with any of the ones listed above. Now you tell us: which are your favorite applications? Share them in the comments below! Surprised to see OneNote here. This thing is way too bloated for quick note-taking. If you care about being able to note down something really quickly, and then equally quickly find it, I'd suggest taking at CintaNotes, for example. I was expecting AutoHotkey (and it would be first on my list) and it didn’t appear. I’m surprised. This list seems very "Sponsored Content". I really hope that this doesn't become a thing. I really have enjoyed this site for a long time. Brian, thanks for your comment. That wasn't our expectation. Thanks for your opinion. Not sure you quite get what sponsored content is. The one problem I have on this list is The Weather Channel program has known spyware in it (Don't believe me? Run Malware Bytes after installing it.) as well as it is quite the resource hog unless you have lots of memory and CPU cycles to spare on top of hefty programs like Word or Excel.